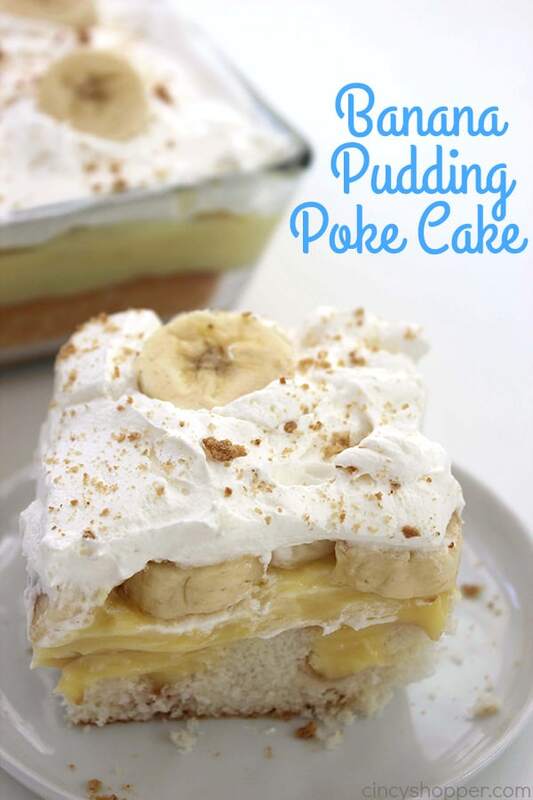 You will find all the flavors of a a banana cream pie in this super simple Banana Pudding Poke Cake. 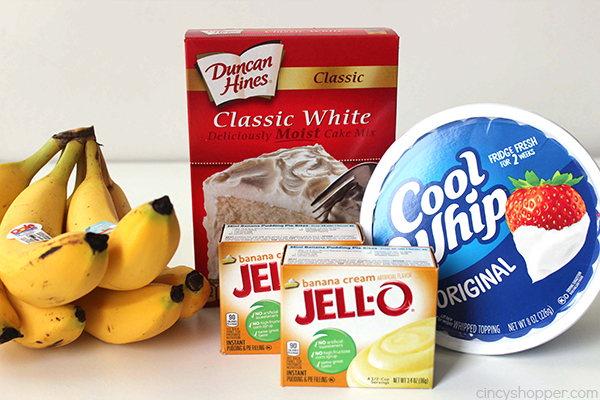 We make it with a boxed cake mix, banana pudding, layers of banana, and then topped with Cool-Whip. 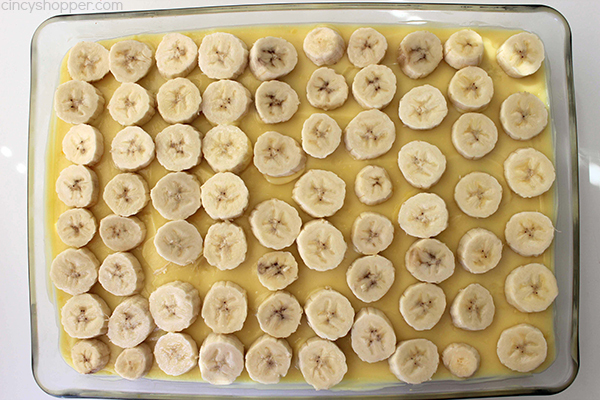 It is super quick and easy! My family LOVES poke cakes. 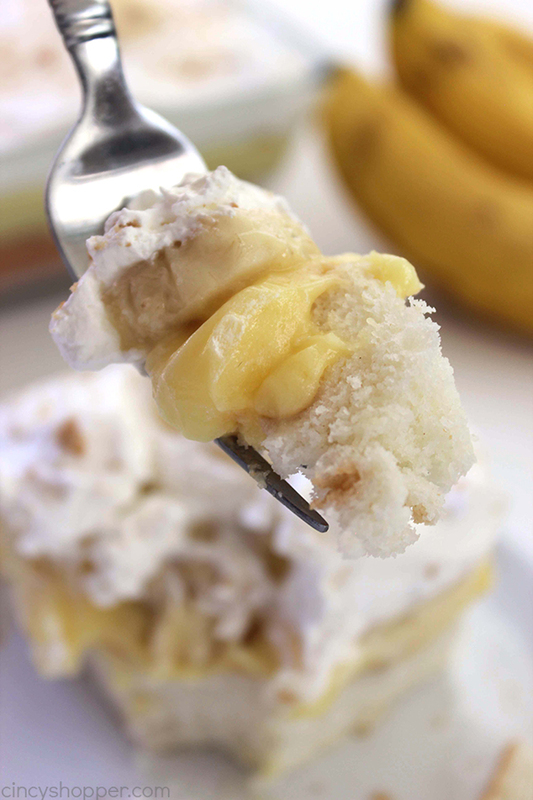 I have to say they make our top 5 in dessert favorites. 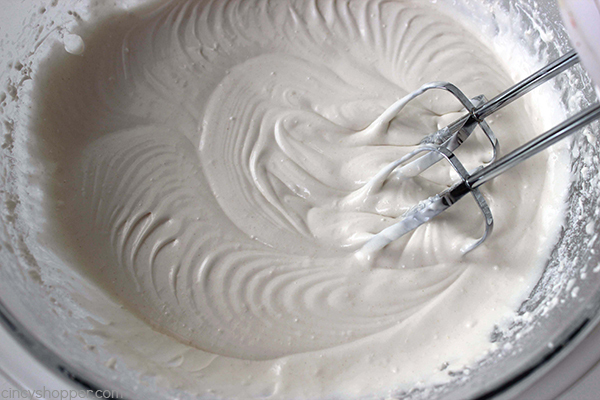 There are so many fun variations that you can create. 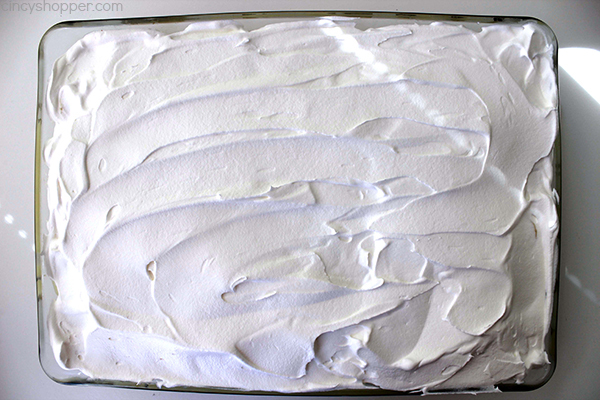 I love that I can start with a basic cake mix and turn it into a really delicious dessert. 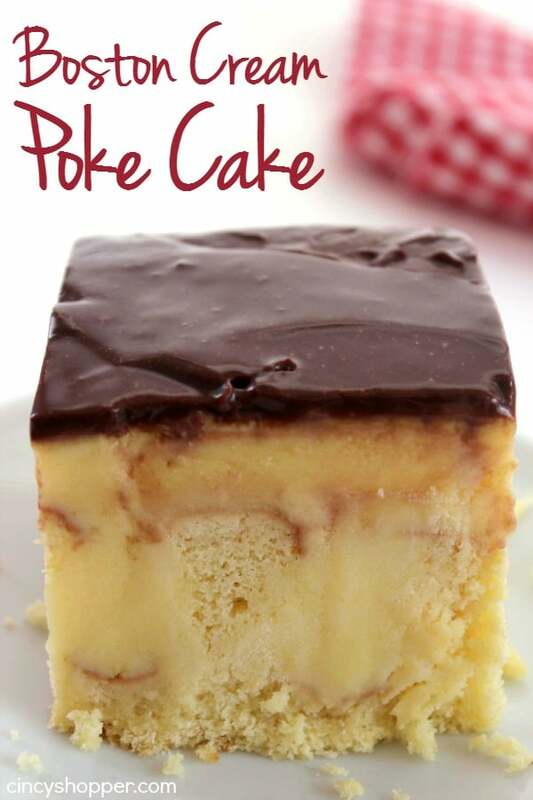 We have made so many different poke cakes in the past like our Boston Cream Poke Cake and our Oreo Poke Cake. 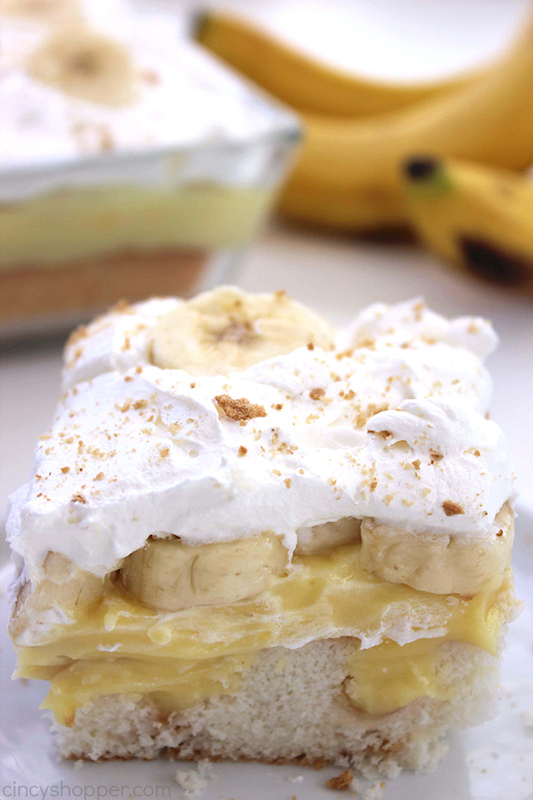 My hubby loves my Easy Banana Cream Pie so I knew our Banana Pudding Poke Cake was sure to be a hit with him. 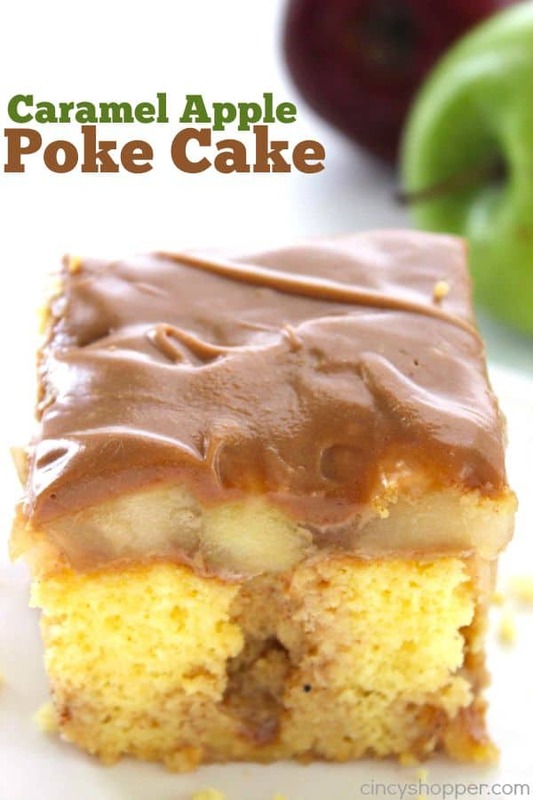 My biggest quest was for it to be better than the Boston Cream because that poke cake continues to be his favorite dessert. 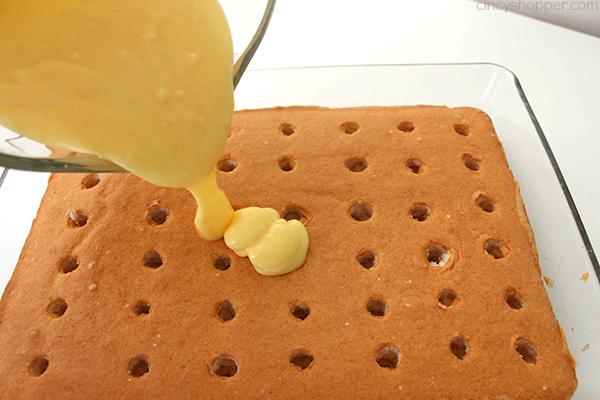 We enjoyed this cake last evening for after dinner dessert. I was anxious to know if he was going to become his new favorite. To my surprise, he says it is a tie! He feels they are equally delish. 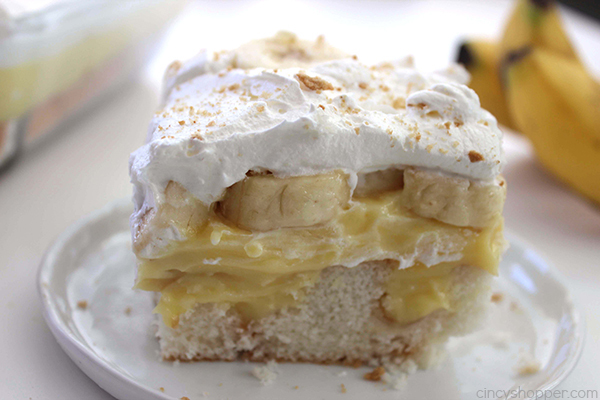 Since our Banana Pudding Poke Cake went over so well, I plan to make it for our next grill out with friends and family. I know it will be a hit. 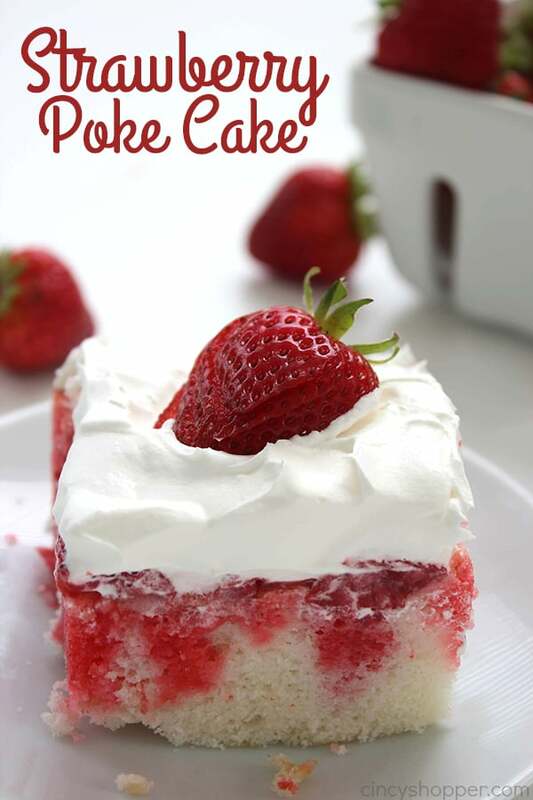 Cakes always make a great potluck dessert. 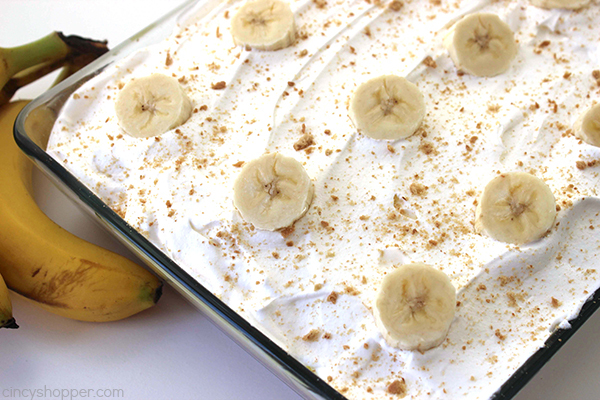 They can be super simple to make and can serve a crowd. 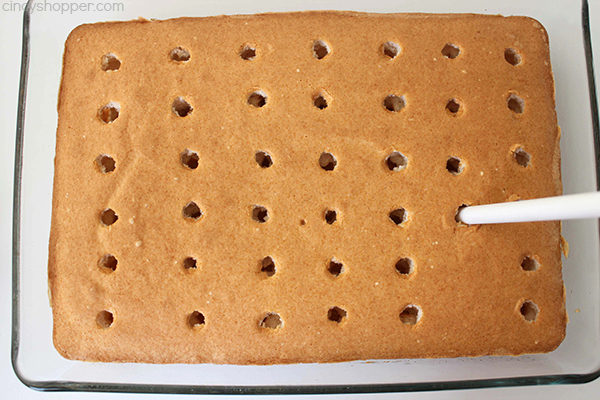 If you are serving an extra large crowd, you could cut into smaller finger sized pieces too! 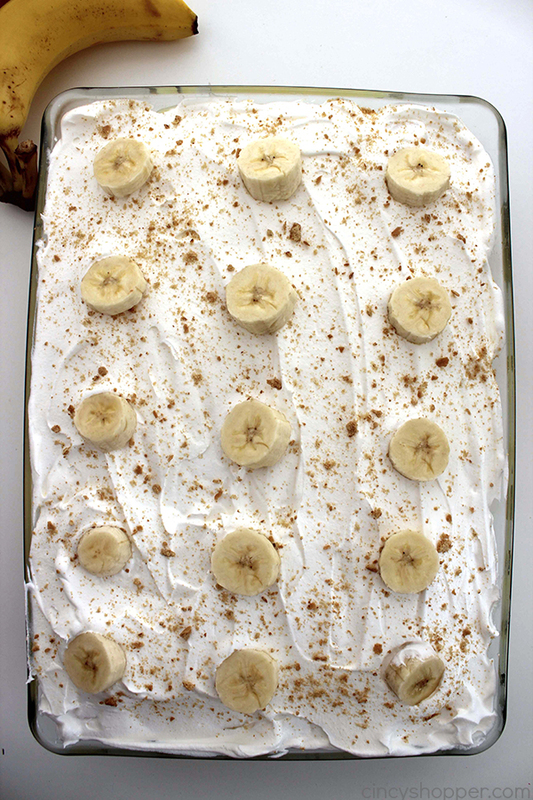 If you plan to make and transport this for a potluck, I would suggest keeping your cake refrigerated and possibly even freeze without the bananas and whipped topping. 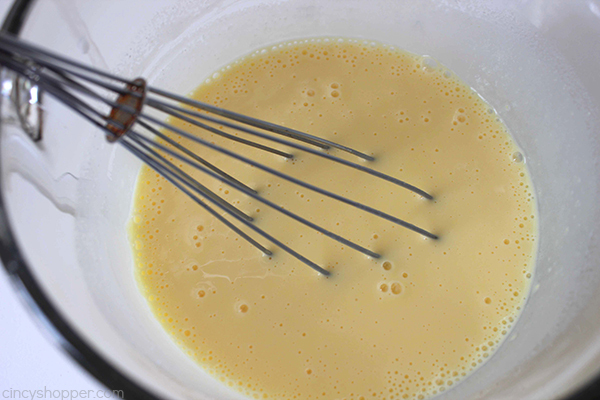 You can add those when ready to serve. 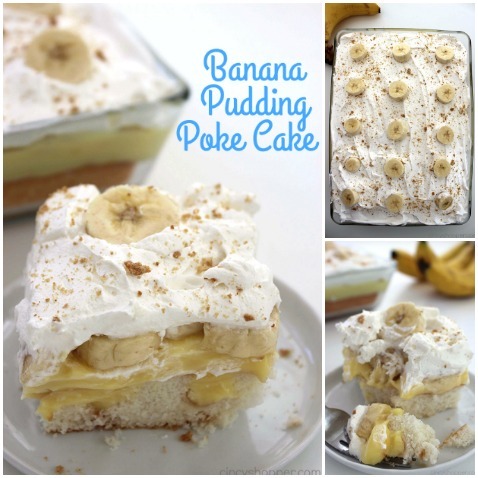 You will only need a white cake mix plus ingredients, 2 small boxes of banana pudding, milk, bananas, and Cool-Whip to whip up this poke cake. 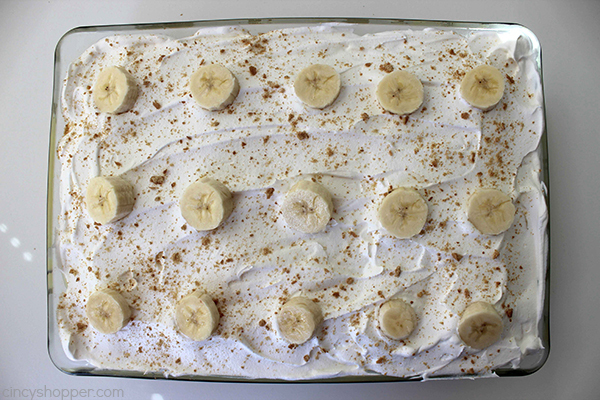 I decorated the top of our cake with banana slices and some Nilla wafer crumbs. You can do so as well but it is not necessary. 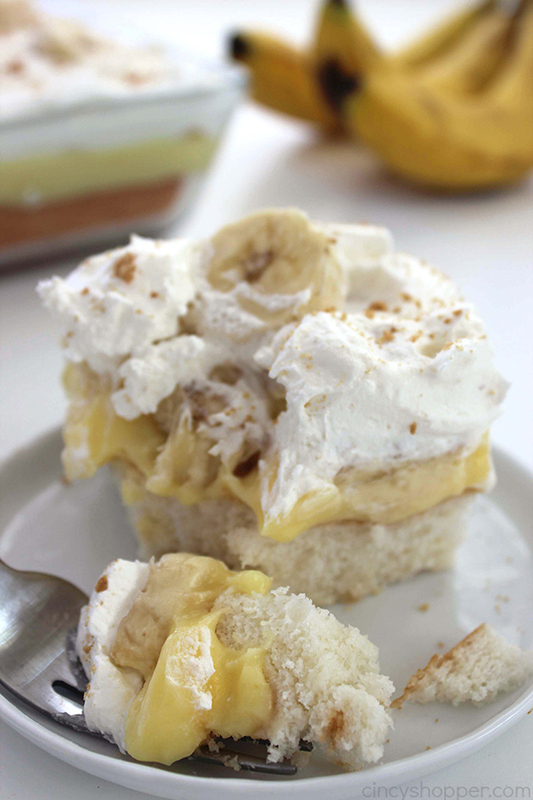 You will find this recipe to be so super simple and it will definitely become a family favorite. 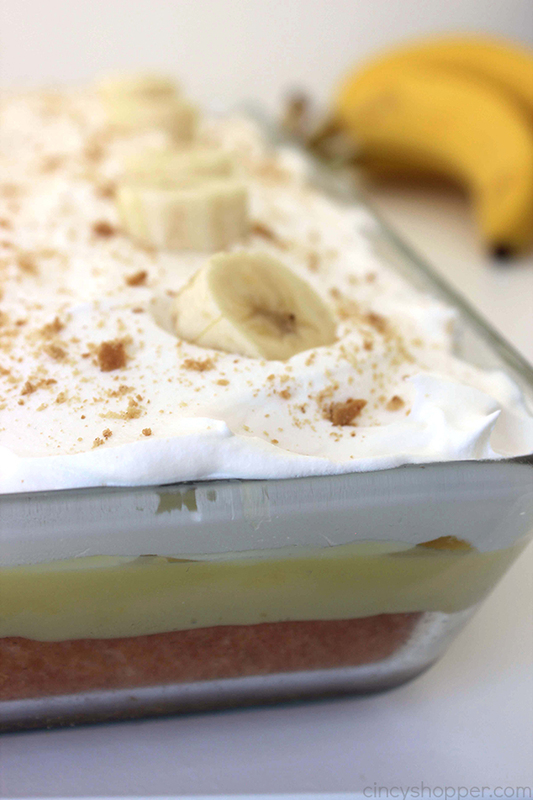 Slice bananas and distribute over pudding layer. 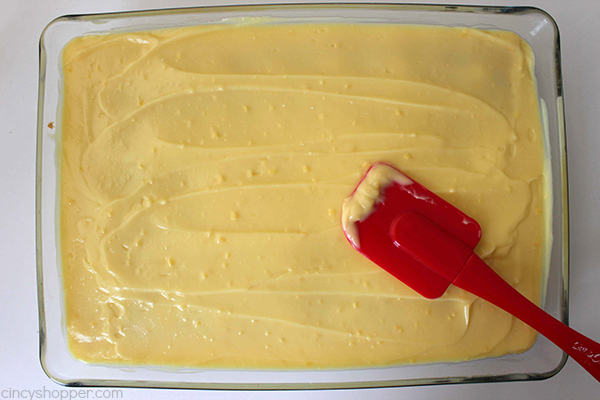 Refrigerate cake for 15 minutes to allow pudding to set up. 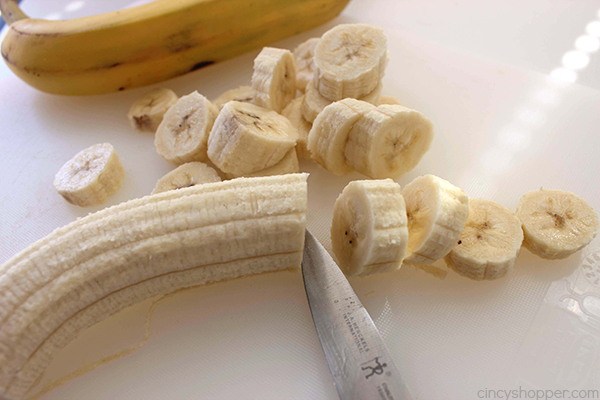 Garnish with a few banana slices.